Audacity, Audio Editor Download. Audacity is a program that lets you edit audio files. The editing tools allow: cut songs, mix multiple tracks, add filters, apply effects, change the speed of a song, and several more features. Supports multiple formats: MP3, WAV, AIFF and Ogg Vorbis, among others. 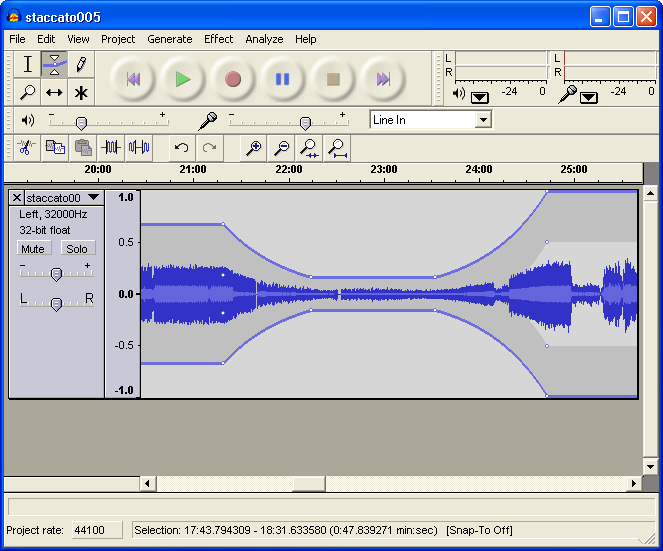 Audacity includes a lot of features, among which include: the ability to record live audio using a microphone or record any sound played on the computer for any application or game, with support for scheduled recording; also convert tapes and records into digital sound using various sources such as cassette tapes, vinyl records, or minidisc. Is able to import and export from and to various audio formats. This application allows you to select and apply various special effects during the editing process of a song. It is possible to dissolve the sound gently with a tool called "envelope"; and also remove background noise, hiss, hum, etc; apply echo phase, reverb, Wahwah and investment. Another interesting feature is the ability to remove the vocals from a song to preserve only the music. Download Audacity, Audio Editor. Audacity 2.0.6 is the latest version, which is available for Windows (XP, Vista, 7, 8, 10), Linux and Mac OS X; and you can download free. On the official site of Audacity is available documentation and tutorials that help sriven to apply correctly some of the functions that we have listed.